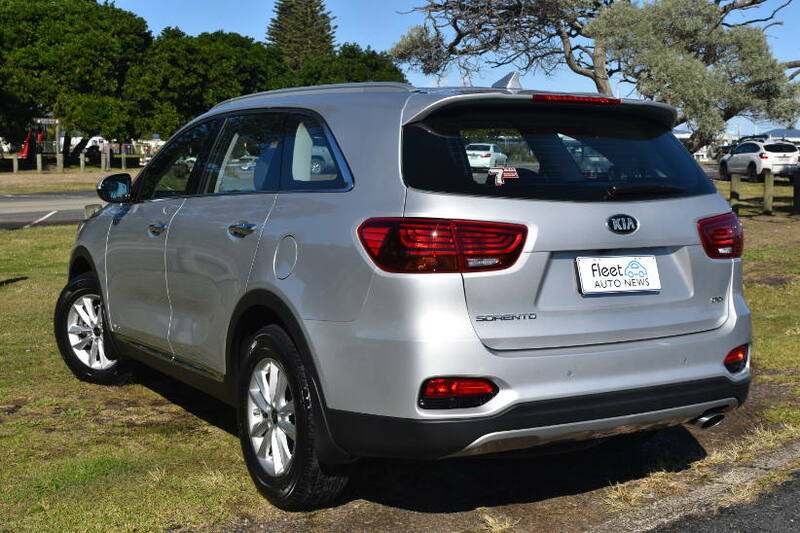 Sorento has been one of the best value seven seat SUV’s for a number of years and now with the 2018 model it’s only getting better. Subtle styling changes, including re-shaped bumper, chrome highlights and sleeker headlights, differentiate the 2018MY from its predecessor, but the improvements to Sorento are much deeper than that. 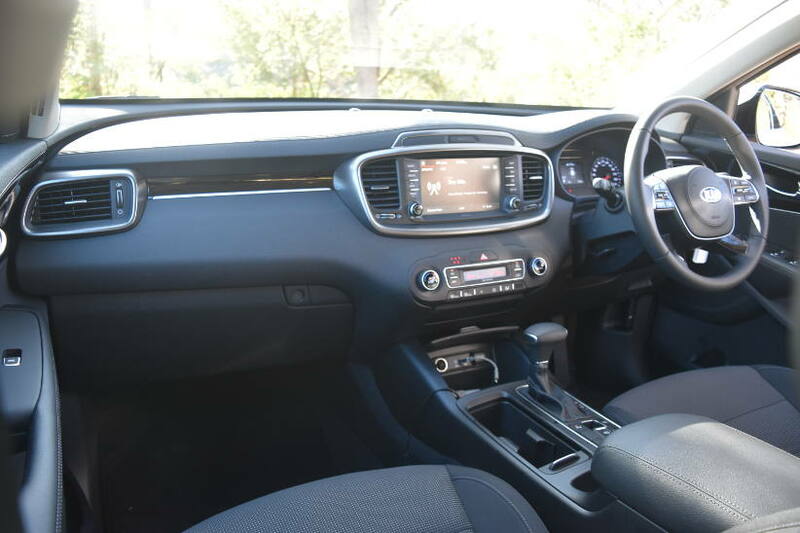 2018 Sorento features KIA’s new 8 speed automatic transmission, which as a ‘traditional auto’ (not CVT or DCT) is very smooth, providing improved fuel economy (listed as 7.2lt/100km combined) and greater responsiveness from the powerful 2.2litre (147kW 441Nm) turbocharged diesel engine. All diesel engine models feature an intelligent AWD system that proactively transfers torque for better grip under acceleration, cornering or in low traction conditions. Driving the Si is a comfortable experience, with a six way adjustable drivers’ seat and excellent forward visibility. But the rather flat driver’s foot rest left me fidgeting about to remain comfortable on longer drives. The revised suspension tuning delivers a sharper response on turn in to corners as well as feeling confident and balanced. Ride quality is good on the 235/65R17 Kumho tyres. Inside there is plenty of room for everyone and everything. 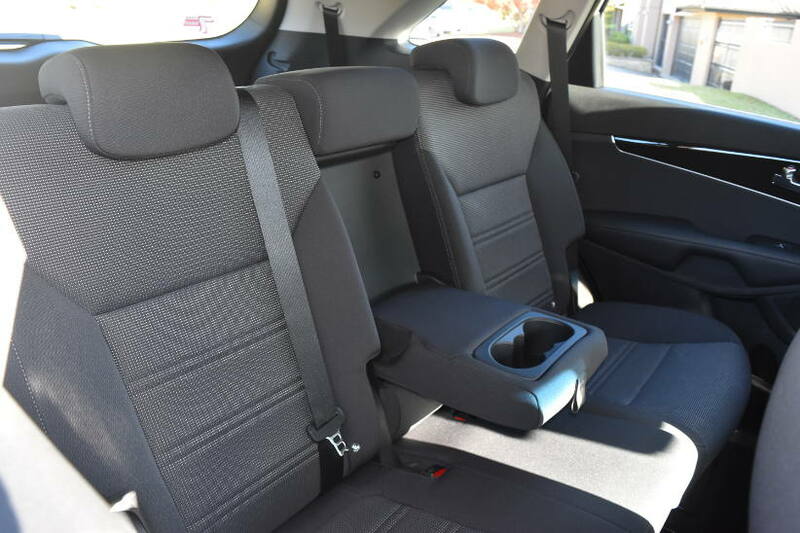 Seven seats is the key highlight of the Sorento, but the flexibility of how you can configure the second and third row seats is what helps Sorento to be so versatile in all family/passenger situations. With the flick of a lever it can be a seven, six, five, four, three or even two seater! The second row seats can slide forward or backward, to increase/decrease leg room for second and or third row seat occupants as needed. Load space varies from 142lt (seven seats up) to 1662lt with all second and third row seats folded down. 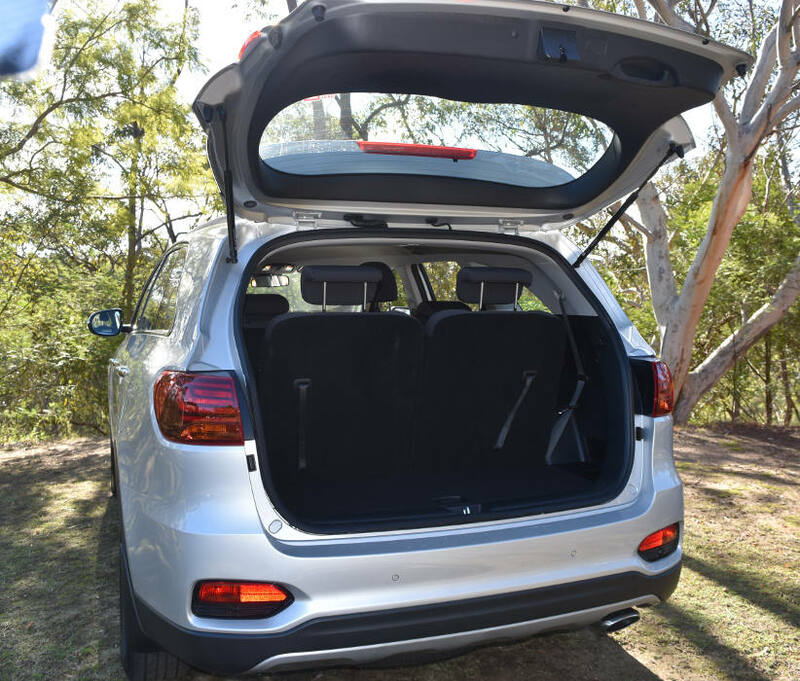 Further helping Sorento’s flexibility and load capacity KIA has designed in some simple but clever ideas as well. 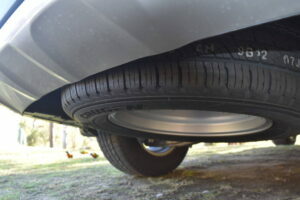 The spare tyre is ‘full size’, but it is stored under the vehicle like a ute. Meaning that it doesn’t take up space inside; and if you do suffer a flat, you don’t have to unload everything in the back to get access to it either! Also the cargo blind has an underfloor storage compartment to put it in when it isn’t in use (no more having to leave it at home when the rear seats were folded down). 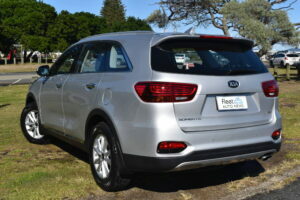 For an ‘entry’ level model Sorento Si is very well equipped. Autonomous emergency braking and forward collision warning are standard as are Lane Departure Warning, Lane Keep Assist, tyre pressure monitoring and adaptive cruise control. Rear cross traffic alert and blind spot detection are only available on the GT line model. 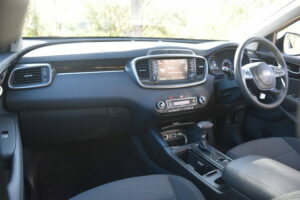 An eight inch touchscreen is provided for the infotainment system featuring, Sat Nav, Apple Car Play and Android Auto, Bluetooth phone/media streaming, six speaker stereo with DAB radio, as well as doubling as the display for the reversing camera. Dual zone climate control is standard as well as extra vents and fan control for third row seat occupants. Cup and bottle holders abound and there are three 12V outlets (two in front and one in the rear, but strangely not one in the back) and USB chargers in the front and rear as well. KIA also offers its industry leading seven year unlimited kilometre warranty, together with twelve month service intervals and capped price servicing for seven years ($3179 for the Si Diesel). 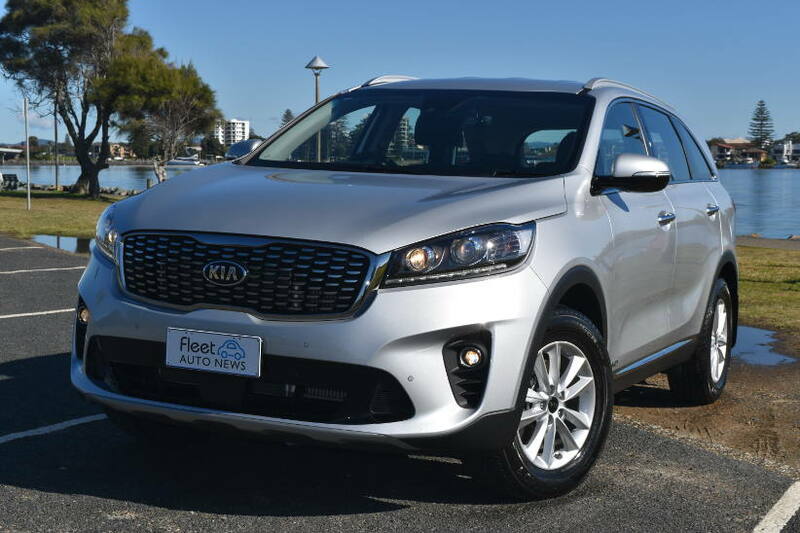 Priced from $45,490 (plus on roads) the 2018 Sorento Si Diesel is an excellent and versatile SUV, offering comfort and convenience for up to seven people and is a pleasurable drive. Seven seats, seven years – no worries. What does it look like as a Novated Lease? This data is from the 2018 Novated Leasing Guide produced by Fleet Auto News.